IRISH Cement has been granted planning permission to begin the process of phasing out the use of fossil fuels at its plant in Mungret. The company says it plans over the next ten years to replace fossil fuels with alternative fuels such as used tyres and solid recovered waste. Limerick City and County Council granted permission for the controversial development in March 2017 despite a number of public protests. The local authority’s decision was appealed to An Bord Pleanala by a number of local residents as well as Limerick Against Pollution. There was strong opposition to the €10m plans at a three-day oral hearing at the South Court Hotel last September with businessman JP McManus and former rugby star Paul O’Connell among those who attended. 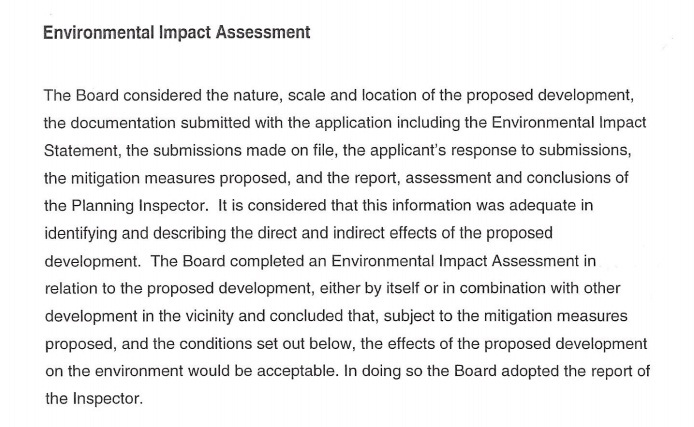 In its ruling – details of which have just emerged – An Bord Pleanala states the proposed development is “situated in an established industrial area” and is “reasonably removed from nearby sensitive receptors”. It notes that Irish Cement will be subject to an “Industrial Emissions Licence. “The Board concluded that the proposed development would not seriously injure the amenities in the area or of residential and other property in the vicinity, would not be prejudicial to public health, would be acceptable in terms of traffic safety and convenience and would be in accordance with the proper planning and sustainable development of the area,” states the decision. “This development is essential to ensure the long-term viability of the Mungret factory, which is currently the only cement factory in Ireland not using alternative fuels and one of the last in Europe not to be availing of these fuels,” it says. “Replacing fossil fuels in cement factories is standard practice throughout Europe, and is line with European, national and regional waste management policy. Irish Cement already uses alternative fuels in our sister plant in Platin, Co. Meath. Irish Cement says The development will reduce the company’s dependence on fossil fuels, will reduce CO2 emissions by up to 40,000 tonnes per year, and will help recover valuable resources. It will also make the factory more competitive, and support existing and future employment. Reacting to the decision, Limerick Against Pollution said the challenge wil continue against the plans. An EPA license for toxic waste incineration has yet to be issued. The challenge continues.